Optometrists are self-reliant superior healthcare specialists, who are licensed to detect, diagnose, and provide treatment for diseases and disorders related to the eyes and the visual system. Optometrists were formerly known as ophthalmic opticians. They performed all the work that was performed by ophthalmologists, except surgery. Optometrists work in hospitals, clinics, the ophthalmic industry, teaching institutions, and on research projects; however, they majorly contribute their services in clinical practice, hospitals, and public health centers. Clinically, optometrists aim to provide solutions to patients with eye disorders. First, patients are subjected to general eye examinations in which the optometrist takes the patient’s medical history of his eye problems. Following this, the eyes are checked for refractive errors and a visual acuity test is carried out to evaluate the eyesight. if required, spectacles or contact lenses of the calculated refractive status of the eyes are prescribed, in order to attain proper vision. Observance of eye disease: Using the ophthalmoscope, optometrists detect diseases related to the eyes such as glaucoma, macular degeneration, and other diseases that are associated with eye functions such as diabetes and hypertension. If irregularities persist in the detection, the patient is subjected to further special tests. For example, estimation of eye pressure in patients with glaucoma. Prescribing drugs for diseases: For management of ocular disorders and treatment of glaucoma, optometrists are certified to prescribe the topical form of pharmaceutical drugs like antibiotics, antihistamines, non-steroidal anti-inflammatory, and some scheduled analgesics. Only optometrists in Florida, New York, and Massachusetts can prescribe the oral form of these drugs. 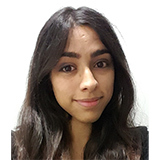 Independent prescribing: Optometrists, after certification by an independent prescribing qualification, are authorized to prescribe all licensed drugs except parenterals (injectables). This kind of practice is followed among optometrists in the UK. Contact lens professionals: Optometrists who are professionals in handling contact lenses for abnormal shape of cornea also prescribe special contact lenses like toric and varifocal lenses for patients. The duties of optometrists inside the hospital are vast. They perform functions identical to those done in the clinic in addition to many others. They provide outpatient care for a portion of the patients in eye hospitals. 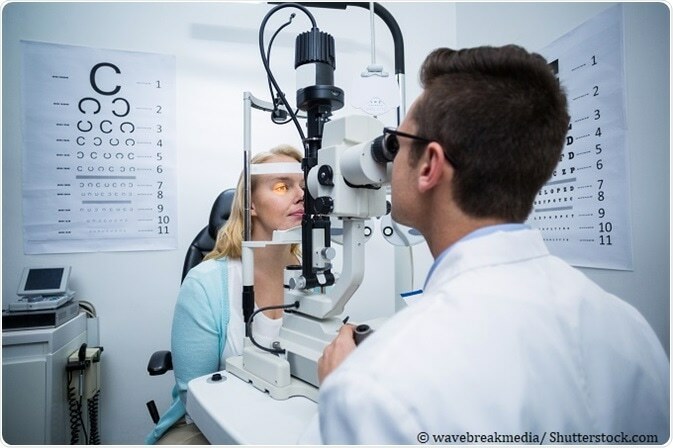 Provide primary eye care for outpatients: An optometrist basically tests the vision sharpness, prescribes corrective lenses, and is an expert in handling equipment that is used to examine the eyes of the patient. Optometrists in low vision care: Optometrists routinely deal with patients with irreversible eyesight, and provide low vision care medication to enhance recovery. They also educate the patient about the regular visual exercises to be practiced to improve their vision. Optometrists in binocular vision care: Optometrists personalize vision therapy for patients suffering from binocular abnormalities; these are required by students and sportspersons involved in this field. Counseling and review of patients: Optometrists provide counseling to cataract patients undergoing pre- or postsurgical operation and also counsel patients about the appropriate usage of contact lens. Previous medical records of the patient are reviewed to assess their vision status. Work with other medical specialists: Complete assessment of eye functions by optometrists enables the pediatric ophthalmologist to efficaciously address amblyopia in children. The integrated eye care model enables both optometrists and ophthalmologists to work together to enhance good care of patients. Research and training: Optometrists involve in research practices on vision disorders that arise due to neurological defects. Their work is to provide evidence of their findings on patients with binocular vision, amblyopia, and other vision disorders. Experienced optometrists provide teaching and training to new professionals in the field. Optometrists’ role in awareness programs: They participate in several awareness programs like Vision 2020: A “Right to Sight” campaign inaugurated by the World Health Organization (WHO) to prevent avoidable blindness. Occupational and Academic Optometrists: Here, a team of optometrists visits schools, colleges, and occupational areas where they provide services to students and employees by conducting visual examination camps and prescribing glasses. Community optometrists: Optometrists who offer their services with the motive to improve public health are called Community optometrists. These are a special category of professionals found in very few countries. These professionals travel to rural regions, where they create awareness and impart knowledge to people about eyesight problems along with their solutions. Also, by furnishing eye health to people who are needy, they prevent diseases and promote good health among particular groups in the population. Optometrists involved in research surveys: A group of primary care optometrists participate in research surveys related to public vision health. An example might be a survey on the number of people using spectacles in a specific region.